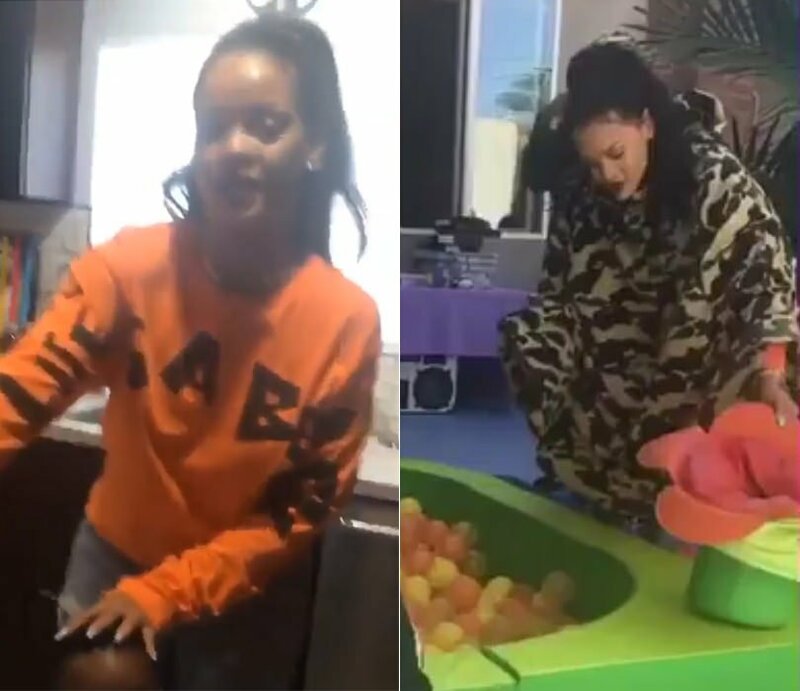 Yesterday Rihanna attended a birthday party for her friend’s son. The singer choose comfy streetwear pieces for the day including a sweatshirt from a brand she’s never worn before. Here’s a video of her at the party. Her sweatshirt is from a UK brand called Life’s A Beach and she designed the shoes. The Life’s A Beach sweatshirt features a logo that stretches from one sleeve to the next. The logo is on the back as well. Rihanna’s exact top is not online but the black one pictured above is available now. Please note this one doesn’t have the logo on the back. Get it on the brand’s website for £60. She also wore a pair of unreleased strapped sneaker boots from Fenty x Puma‘s Spring 2017 collection. The boots have a padded collar, zip front closure and Puma’s signature formstripe at the sides. We have to thank Rihanna Daily for the photo of the platform shoes. Rihanna initially had on a camo jacket that she took off when she went inside. It’s by BAPE. 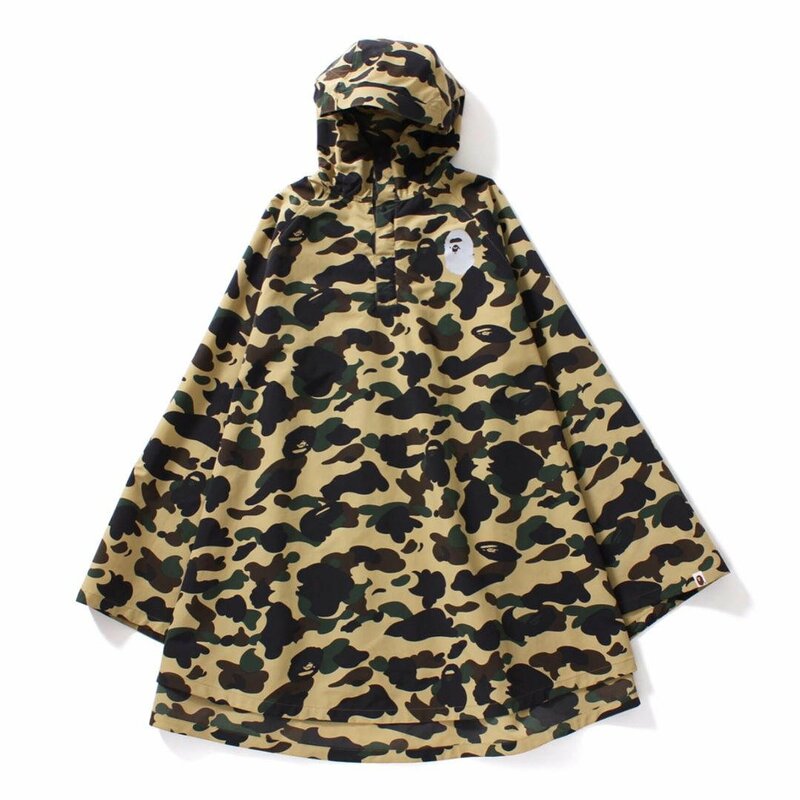 It’s their 1st Camo Poncho that costs about $335. It has a hood, a button front closure and the BAPE ape logo on the chest and at the hem. 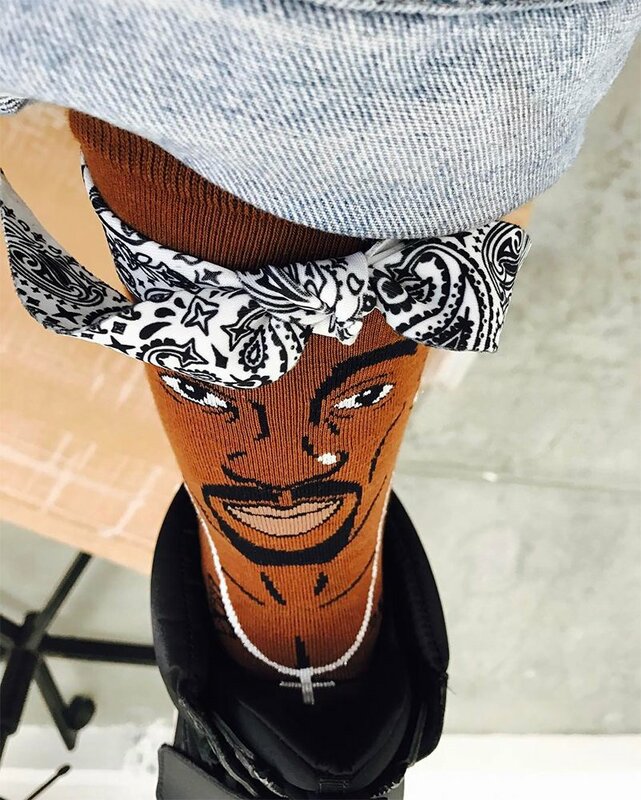 The singer took to Instagram to share a photo of her socks. We all know she loves Tupac and even got a temporary Thug Life tattoo several years ago. 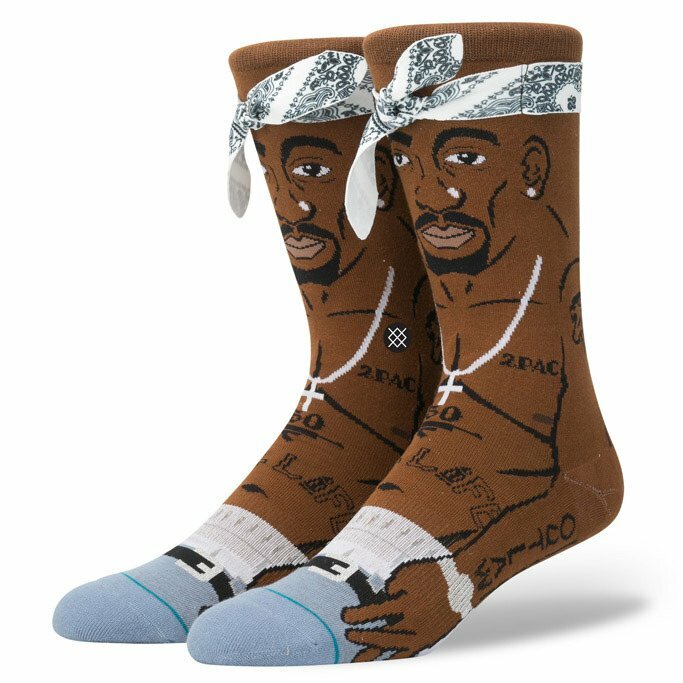 These Tupac tribute socks are by Stance. From the Anthem Collection, they feature all of the rappers tattoos and piercings. They also have ribbed cuffs and headband detail. Sold out stance.com, you can still grab a pair from the European site Very Poolish for $20.